Intel's super-duper high speed Thunderbolt interface hasn't exactly taken the PC world by storm, and Monday, Acer stole some of the scant thunder Intel's baby had managed to generate. "We're really focusing on USB 3.0—it's an excellent alternative to Thunderbolt," Acer spokesperson Ruth Rosene told CNET. "It's less expensive, offers comparable bandwidth, charging for devices such as mobile phones, and has a large installed base of accessories and peripherals." On paper, Thunderbolt clearly outclasses USB 3.0: Thunderbolt's 10Gbps per-channel transfer speeds are superior to USB 3.0's bi-directional 5Gbps, and 20Gbps bi-directional Thunderbolt 2 technology is slated to land later this year, complete with the ability to simultaneously stream and transfer 4K video signals. Streaming 4K video signals, transferring 4K video files, and daisy-chaining devices: You can do it all at once with the upcoming Thunderbolt 2 technology. Beyond mere speeds, Thunderbolt also offers the ability to daisy-chain several devices together. You'll need a hub to hook up multiple USB 3.0 devices. And that's when you can even find Thunderbolt-compatible gear. While Thunderbolt is a mainstay in modern Macs, it's been largely ignored by Windows PC manufacturers, with just 30 (relatively pricey) computers and motherboards shipping with the technology in the past year, according to a recent Intel press release. That low adoption rate has made finding Thunderbolt accessories a chore, as well. Costs might drop if Intel ever integrates Thunderbolt into its PC chipsets, but that hasn't happened yet, and an Intel spokesperson told CNET flat-out that "Thunderbolt is targeted toward premium systems. It is not targeted to be on mid-range or value systems in the next couple of years." In the meantime, Intel is also stuck with the classic chicken-or-egg problem that similarly plagues Microsoft's Windows Store: Thunderbolt adoption won't come without Thunderbolt accessories, and Thunderbolt accessories won't come without Thunderbolt adoption. USB 3.0, meanwhile, is already as ubiquitous as ubiquitous gets, thanks to its widespread adoption, cheap cables and gear, and backwards compatibility with the vast sea of USB 2.0 accessories already out in the wild. And to be perfectly frank, 5Gbps transfer speeds are more than acceptable for the Average Joe—and for Acer, apparently. In other words, USB 3.0 is "good enough," and it's only getting better. 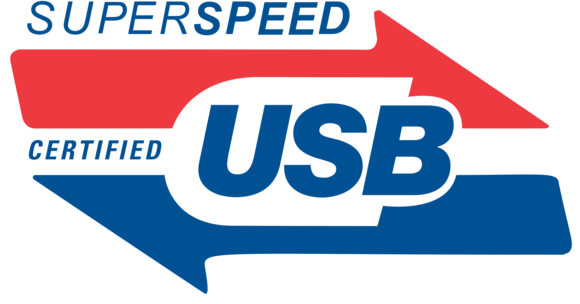 The USB 3.0 promoter group is actively working on enhancements to the standard, looking to soon double throughput speeds to 10Gbps and enable the ports to deliver up to a whopping 100 watts of electricity to connected devices.